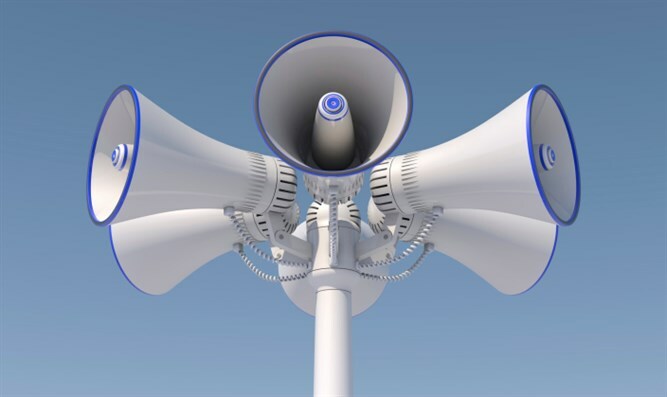 Hackers turn on 156 storm alert sirens in Dallas, leave them blaring for 90 minutes. Outdoor warning sirens sounded for 90 minutes in the city of Dallas, Texas and its environs at 11:44 p.m. on Friday night. Immediately, citizens began calling the 911 emergency hotline, causing a system backup. According to police, Sirens also went off in Garland, Texas, and officials worked to correct the system "malfunction." The sirens were turned off at approximately 1:20 a.m on Saturday morning, the Dallas Morning News reported. On Saturday afternoon, Dallas Public Information Director Sana Syed, the sirens were caused by hackers, and there was no actual emergency. She also said 4,400 citizens called 911 between 1:30 p.m. and 3:00 a.m.
"We understand that people were concerned," Syed said. "We had people asking if we were being attacked because of what's going on overseas." Dallas' Office of Emergency Management Director Rocky Vaz said engineers said they think an unidentified hacker in the Dallas area was responsible. However, police have not yet found the suspect, who set the system to repeat each siren sixty times. Vaz also said he can say "with a good deal of confidence that this was someone outside our system" is at fault, but that it "is going to be a very long process if we do find out who actually did it," Vaz said. Dallas Mayor Mike Rawlings said he considers the hack an attack on the city's emergency notification system. He warned that the city will "find and prosecute whomever is responsible." "This is yet another serious example of the need for us to upgrade and better safeguard our city's technology infrastructure," Rawlings posted on Facebook. "It's a costly proposition, which is why every dollar of taxpayer money must be spent with critical needs such as this in mind. Making the necessary improvements is imperative for the safety of our citizens." Dallas has 156 outdoor warning sirens, used mostly to warn citizens of tornadoes. It is not clear how many actually malfunctioned.